If you have been working with mobile apps very long, you have probably have seen that APIs are a huge chunk of your workload. Everything is connected to APIs these days and mobile is no exception. 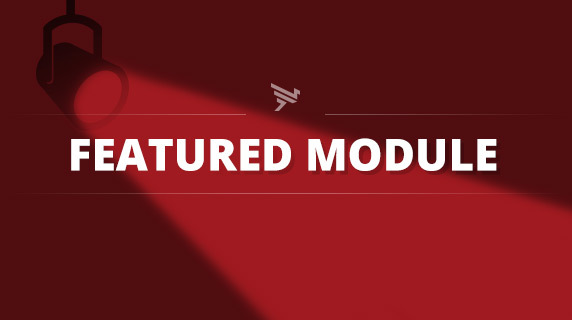 Our featured module this month helps developers consume APIs in a very robust and user-friendly fashion. The idea behind RESTe was to write a simple module that could take the effort out of hooking up to APIs – he could drop it into any project and configure it easily on a per-project basis. What I love about RESTe is that you can make it work with almost any API no matter how it’s written — it doesn’t have to be a “pure” REST-based API. There’s lots of other options mentioned in the readme file like hooks and events you can intercept if there are errors or if you need to transform or manipulate the data retrieved. This includes support for fetching, data-binding, transformations and even Backbone.js events like sync, change etc. You can even fetch based on parameters, or add sorting and much more. One important thing to note here is that if you use RESTe then you don’t use the <Collection> or <Model> tags you’d usually use with Alloy projects. This is because these are an Alloy implementation of its own method of configuring Backbone.js. A useful feature of the Model and Collection support is the ability to create Models and Collections on-the-fly. This is great if you want to add some simple data binding but aren’t ready to connect to a live API yet and simply want to mock up a user interface. It’s been so nice developing apps with RESTe where I can create the app screens, create mock data to bind and format them, and make sure everything’s working. I can even add models to collections to test say, adding comments to a post and save the data to local properties to persist it. When the API is ready, I can easily plug in the end points and with very little change, the app “just works”. Before RESTe, when binding data in Alloy, I, like many developers often had to write my own api code and wire it up manually, resulting in using various libraries, looping through results, creating TableView rows or adding to an array to bind to a ListView later. With RESTe, I’m able to setup a configuration once, and use ONE line of code in a controller, and change ONE line in a View, and add some variables and that’s it. I write less code, my app is less complex to manage and everything is setup in one, easy-to-write (and understand) configuration. Oh and the name? It comes from the French translation for “Rest”. Find out more about RESTe and install it from npm, or check and contribute to the repo on GitHub. Let us know in the comments below if you’re using RESTe and what other tools you use to help with mobile development. Also, if you haven’t already, let us know what packages, modules and widgets YOU would like to see featured as part of this series!